Editor’s note: Historian and author Tiya Miles is a professor at the University of Michigan’s Afroamerican and African Studies department and a 2011 MacArthur genius award recipient. (CNN) — In the documentary film “Black Indians,” a man who appears to be African-American recounts his delight at eliciting shocked looks from strangers when he launches into a conversation with his wife in the Cherokee language. The news cycle is such these days that it’s an effort to keep up with it. Hence, the reason I am reading this piece in it’s entirety, a month later. Fear of a Black President made a tremendous noise when it’s was published and I heard the reverberations. My first thought was, oh how clever, since the title must’ve been inspired by Fear of a Black Planet by Public Enemy. Conveniently, stealthily, I left it at that, until today. Today, my natural proclivity towards curiosity and intellectual challenge drove me to read it. I am not sorry that I did although it left me in tears. I’ve finally learned to accept that not everything worth hearing leaves you smiling, that life’s deepest truths often leave you reeling. It is a measure of your character whether or not you can absorb ugly truths and find a way to deal with them…so, I soldier on. First, I should say that the title alone made me afraid to read it, strange, but true. I knew, of course, that it would deal with race and, as typical of Ta-Nehisi’s work, evince a deeper, oft unexpressed truth. Ta-Nehisi Coates is more than an excellent, learned writer, he is adept at stripping away varnish and ferreting out truth. These days, it seems to be a rare talent. In what I can only construe as irony, I rarely spoke about race until about ten years ago. It is not that I never thought about it, it just seemed easier not to discuss the undercurrents of it unless something brazenly racial assaulted me. Many of my childhood friends are White and liberal, open-minded though they may be, I always surmised that they would not understand my rage. I’ve tested it and just as I thought very few can handle any expression of anger over racial injustice, they don’t even understand the need for it. The rage that I’ve had to own because it was eating me up on the inside. The rage that drove me to say if I ever had a son that he would never serve in the military because too many Black people have died for this country. The rage that drove me on to marry a African man, aware as I was underneath, that I was attempting to not only reinforce my Blackness but spit in the face of anyone who would suggest that he, by virtue of his birth, was not good enough. The rage, that I often suppressed during my career in corporate America, as I was passed over for promotion by White men, often less talented, or dedicated. Knowing, all the while, that my salary was significantly less than theirs and that gender was only one of the biases that I faced. That same rage and horror, which subsumed me after visiting a White colleague’s house. His house, valued at 2 million dollars, sitting on an acre of land in upstate NY. He took me there to show off, I knew. He was kinda courting me in between women. His wealth isn’t what threw me. It was his presumption that it would be enough, for a Black girl, when weighed against his misanthropy, misogyny, alcoholism and sense of privilege and entitlement. Only when I got back to work, and found myself crying uncontrollably in the bathroom because I couldn’t escape the thought, that no matter how hard I worked, I would never have a life like that. The odds are against me, you see, and for some reason my subconscious took the reigns to remind me that by virtue of my birth my possibilities were limited. Had you asked me that question, or even implied, that I believed such a limit existed, I would have denied it vehemently. Yet, there it was, beating palpably beneath my skin where it has undoubtedly sat for most of my life…a silent judgement on my own self-worth, indelibly ingrained by virtue of being an African American. I struggle with that. Once a voice speaks up that loudly you in you, it’s impossible to quell. I don’t wish to quell it, as it opens the door to a deeper awareness of self. 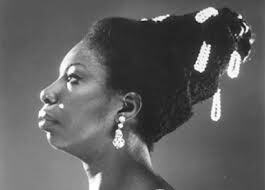 It is through that prism, that I came to understand that many of my motivations, in my career life, my educational choices, where to live, what to wear, as a few examples, have been an ongoing attempt to defy the racial stereotypes which dog African Americans. I speak about it now, because I would not be complicit in my silence and it is the only way to truly be free. This piece reminds me profoundly of my own struggle and it forces me to acknowledge some of my own behavior. Reading this blog, you might believe that I think Obama can do no wrong. I have given ample time and verbiage to why I support him, while never speaking on what I disagree with, the horror with which he has wielded military might; the use of drones; the lack of any concerted attempt to address issues which assail the Black community, most prevalently. Because Black people know in their hearts that to speak out against our Black president is to empower his enemies who are working overtime to assail him. His ascendancy makes that a given. I guarantee you there is not one amongst us who is surprised at the covert and overt racial animus and seemingly new “polarization” which has gripped the country since 2008. We might hope for better but we expect the worst. Don’t misunderstand me, I still believe he is the best man for the job without question. My respect for him is not diluted by my areas of dissatisfaction. I am just truly saddened that there isn’t an honest critique of the President, by people of color, without these considerations that bind us together in a sort of racial dysfunction. I am saddened that America’s history and racial animus, engendered by fear, has limited his effectiveness for all citizens. Mostly, I am saddened that he has clearly chosen to work within the dynamics of the game, rather than breaking down the dynamic by facing it head on. But if he did that, he might not be here for a second term. Which was another unspoken fear that I shared with my Brothers and Sisters. After all, everyone of our great leader’s who attempted to make significant changes which address racism and inequality …were assassinated. Read Ta-Nahesi’s piece. It is brilliant, in it’s veracity…and very human pain. Yesterday, Rodney King died. I caught the news as I scanned my Twitter feed and sat, mouth agape, for a long drawn out moments. I thought perhaps that it was a mistake. At least, I hoped so, but as the reports began pouring in from so many sources I could only accept the sad and wrenching truth. Rodney King, whose name will forever be synonymous with the L.A. Riots of 1991. Rodney King, who I saw on The Ed Show a few, short months ago discussing his forthcoming book, The Riot Within: My Journey from Rebellion to Redemption. I had not seen him for at least 15 years and the sight of him was like a mental punch. He had aged wonderfully, becoming a handsome and striking man. Yet, you could see the scars on his hands and deduce from his speech, both in pattern and cadence, that he’d suffered brain damage and unseen scars from his beating at the hands of the LAPD. Seeing his hurt and how his life had been impacted undid me. I thought that was bad but yesterday was much worse. Shock gave way to unexpected grief and anger as if someone had torn a band aid off a wound that had never quite healed. The fact that he was 47 years old and way too young is lamentable. What happened to him is so very tragic and unjust that it is hard to articulate my sadness and rage. He could have been my brother. 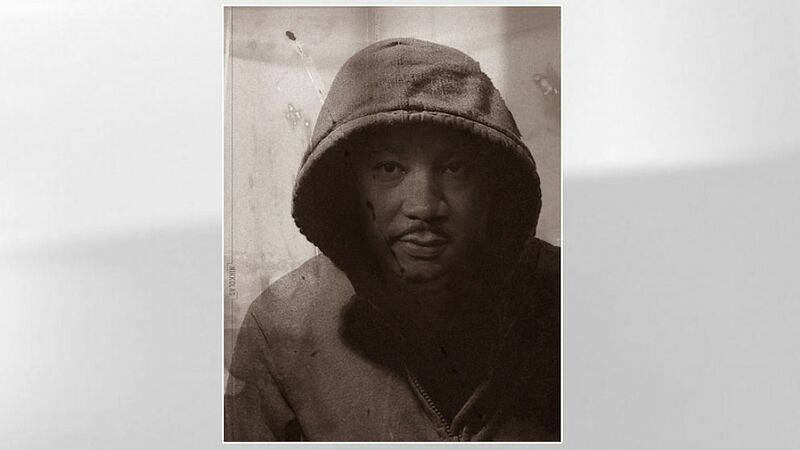 His story brings to mind a long list of African American males, some faceless and some famous, from Emmett Till to Trayvon Martin. As negative as it seems, I could only think that the LAPD and the forces which empower them murdered a part of him that day and that they are inextricably linked to his early demise. I missed a teachable moment today when one of my best friend’s asked me why I was so upset about his death. “I mean it’s sad and all… but that happened like 20 years ago.” That was her well meaning response. And indeed, I am sure that will be a lot of people’s response. People, notably, who are unaware of his story or who are not Black, is my guess. I gave her a cursory reply because I was tired and didn’t have the heart to have a deep discussion but I realize that was the wrong response. I see Alice Walker discussing Trayvon Martin, and the grief and rage in her beautiful face as she says “It’s a symptom of our illness. We are a very sick country.” All her life, this fight for justice has raged and it is still not done. I feel their pain and am inspired by their strength and I work harder to master unacknowledged fears. How many more lifetimes before justice is done, racism is the anomaly and my people are truly free? At a very minimum, free of the yoke of institutionalized racism masking itself under the guise of the law. What she sees as a singular event, I see as causality, as contributory to a long line of injustice. I don’t blame her for her lack of understanding, empathetic though she is. After all, it is not her reality and she has not heard similar stories from the last three generations of her family. She does not walk in my skin. I cry my tears out, some in ink, and then I brace myself to continue the struggle because someday, I pray, justice will be done. Peace and blessings to the King family. Pray that Rodney’s spirit is finally at rest. You can catch up on some great articles about Rodney King and his story in the Daily Beast. “What Rodney King’s Death Symbolized for the Black Community” by James Peterson resonated with me. So, y’all know I am obsessed with politics. I have no shame lol. It’s important and besides that it has become strangely…comedic. Comedic, that is, if you don’t pull out your hair at the other end of the spectrum. But momentarily, let us dwell on hilarity because it is always a nice place to visit. Check out this segment on Micheal Coffman from the Ed Show. He is a snake oil salesman in motion. My God, I really did come to tears after seeing this. Is it not Un-friggin-believable? What made him think this would FLY? He released a written statement which I did not bother to read. One can write anything but when faced with truth what do you STAND for? Looking at that video, the answer is nothing good. Prior to this, I had no familiarity with Congressman Michael Coffman. Nor, am I sure that my life has in anyway been enriched by his presence. In point of fact, I am sure it has not. I pray to God that the man serves what remains of his term and disappears into the land of ignominy that he so richly deserves. Here’s the thing though. Doesn’t his statement sound eerily familiar? Have a gander. Right! So there’s your primer for the lack of leadership, ineptitude, dishonesty, disgracefulness and all around spinelessness that is pervading American politics. It defies the imagination that our politicians are jumping on the bandwagon of extremist rhetoric and when called out for their idiocy do not have the grace, intelligence, or strength of character to come correct. It makes me sick, honestly. The whole Birther movement phenomenon is disgusting to behold. It reminds me of some of the most shameful times in our history. Think Communism, Salem Witch Trials, McCarthyism.Uncomfortable yet? Yes, you should be. Many people dismiss the Tea Party as a lunatic fringe and the Birthers as a trivial “minority”. I am not one of them. After laughing at the complete ludicrousness of outlandish sound bytes, I am transfixed with skin creeping disgust. What year is THIS? Are these our choices? Why does jarringly hateful rhetoric seem to be on the rise? How on earth could so many people be fooled into thinking that these people will represent their interests in office? They cry govermental cuts and a return to personal responsibility while passing contracts to corporations and taking money from them at the expense of the people. These are the sadly regrettable facts. Apparently, even SCOTUS is suspect. Corporations are NOT people. When you dissect the Birther arguments, all that remains is eerie, rabid irrationality which even in the face of FACTS, will not be silenced. Pesky little things, facts. No one can convince me that fear, racism and greed are not at it’s root. From a political standpoint, we know unequivocally that expanding the sphere of money and power are at the root of the political shenanigans we’re seeing. I do so want to read Draper’s book, “Do Not Ask What Good We Do”this book. But what pray tell could be driving ordinary citizens to such extreme positions? Are people really this narrow minded and stupid uniformed? I have many theories but all too few answers and in the end it merely leaves me uneasy and ashamed. Yep, ashamed. The next time you hear a politician begin a statement with, “I Stand By”, be very wary. Talk is getting cheaper by the second. You may not think this is the most important election of your lifetime but it is definitely in the top three. I am looking for a flashing sign that reads “Warning – Derailment Ahead”. 1. “Today, President Obama will participate in the first completely virtual interview from the White House to talk about his State of the Union Address. During the live interview, which will be held through a Google+ Hangout, the President will answer questions submitted by people from across the country. In fact, more than 227,000 people have participated already, submitting over 133,000 questions and casting more than 1.6 million votes on the questions they would like to hear President Obama address. 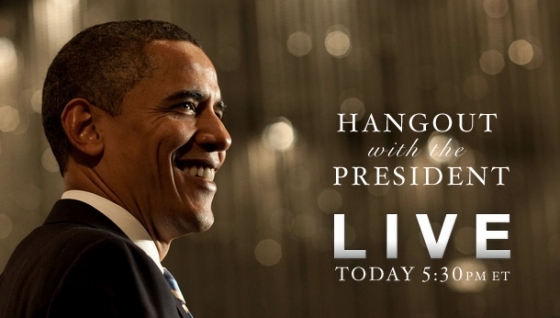 In the Hangout, the President will be joined by a selection of citizens who will engage in the conversation live. 2. I found this video compiled by Think Progress in an article entitled, “The GOP’s Racial Politics“. The video does a great job of underscoring how much Race still matters in America. In particular, how racism is used as a tactic to appeal to bigots to drum up Republican support. Some have opined that this is just a “bad” election year but as I’ve said before it’s implications are much deeper than that. The fact that such behavior is a historic tool of the GOP makes me wonder why any person of color, or conscience, would ever align themselves with the Republican party. You may also find this interesting, a letter from Catholic leaders taking the GOP candidates to task for their racialized messages. 4. And finally, the fantastic Melissa Harris Perry in a Q&A session on her book Sister Citizen. BONUS: The fight for democracy, equality and integrity continues. MHP’s new show starts this weekend on 2/18/12 and I’m expecting big things 🙂 Enjoy! “In addition to her role at MSNBC, Melissa Harris-Perry is also columnist for The Nation magazine, and will continue to write her monthly column, titled Sister Citizen. Harris-Perry is also a Professor of Political Science at Tulane University, where she will continue to teach, and is the Founding Director of the Anna Julia Cooper Project on Gender, Race, and Politics in the South, housed at the university’s Newcomb College Institute. A celebrated author, Harris-Perry recently published her second book, Sister Citizen: Shame, Stereotypes, and Black Women in America (Yale 2011), which examines the effects of persistent harmful stereotypes on black women’s politics. 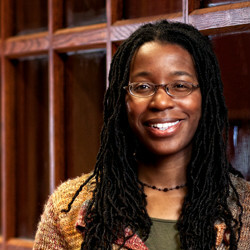 Her first book, Barbershops, Bibles, and BET: Everyday Talk and Black Political Thought, won the 2005 W. E. B. Du Bois Book Award and 2005 Best Book Award from the Race and Ethnic Politics Section of the American Political Science Association. Debunking the Ron Paul Myth….. If you too have been wondering WHY people, most incredibly so-called Progressives and Liberals, have been advocating Ron Paul’s candidacy, you MUST read the following piece, “Of Broken Clocks, Presidential Candidates, and the confusion of certain White Liberals” by Tim Wise. It is a thing of beauty. It’s veracity, logic and historical references leave no room for argument. He strips away the false equivalencies that have been used as tools in the criticism of President Obama and underscores why the 2012 GOP narrative is so morally objectionable. Including “noteworthy”, and I use that term loosely, Glenn Greenwald of Salon. I clapped so hard that my hands hurt. The brain really is the sexiest organ, just in case you were wondering. When you support or give credence to a candidate, you indirectly empower that candidate’s worldview and others who hold fast to it. So when you support or even substantively praise Ron Paul, you are empowering libertarianism, and its offshoots like Ayn Rand’s “greed is good” objectivism, and all those who believe in it. You are empowering the fans of The Fountainhead and Atlas Shrugged, in which books they learn that altruism is immoral, and that only the self matters. You are empowering the reactionary, white supremacist, Social Darwinists of this culture, who believe — as does Ron Paul — that that Greensboro Woolworth’s was right, and that the police who dragged sit-in protesters off soda fountain stools for trespassing on a white man’s property were justified in doing so, and that the freedom of department store owners to refuse to let black people try on clothes in their dressing rooms was more sacrosanct than the right of black people to be treated like human beings. See, believe it or not, judgment matters. If a man believes there is a straight line of unbroken tyranny betwixt the torture and indefinite detention of suspected terrorists on the one hand, and anti-discrimination laws that seek to extend to all persons equal opportunity, on the other, that man is a lunatic. Worse than a lunatic, that man is a person of such extraordinarily obtuse philosophical and moral discernment as to call into real question whether he should even be allowed to go through life absent the protective and custodial assistance of a straightjacket, let alone hold office. That one might believe in unicorns would still allow one to profess a level of sagacity and synaptic activity in one’s brain several measures beyond that of the man who thinks liberty is equally imperiled by the Equal Employment Opportunity Commission as by the CIA. That any liberal, progressive or leftist could waste so much as a kind word about someone as this is mind-boggling. There are not many litmus tests for being a progressive in good standing in this country, but one would think, if there were, that surely to God, civil rights would be one of them. It is one thing to disagree about the proper level of taxation, either on the wealthy or corporations: honest people can disagree about that, and for reasons that would still permit one to claim the mantle of liberalism or progressivism; so too with defense spending, drug policy, trade, education reform, energy policy, and any number of other things. But the notion that one can be a progressive, even merely liberal, while praising someone who believes that companies should be allowed to post “No Blacks Need Apply” signs if they wish, and that only the market should determine whether that kind of bigotry will stand, is so stupefying that it should render even the most cynical of us utterly bereft of words. It is, or should be, a deal-breaker among decent people. ***So, I’ve had to come back and revise my comments since they were truly made in a flash of rage. Justifiable and understandable as it might be, rage is dangerous my friends. It is also dangerous to check the Net in the middle of the night because all kinds of insanity is lurking out there. After reading this post, I am doing everything I can NOT to curse and throw things. People keep saying that we are living in post-race America and use the election of President Obama to underscore their point. That is complete and utter BS. It’s a delusional denial by people who don’t have to deal with racism everyday. It’s convenient to WISH that race is not such a big issue but reality simply doesn’t bear this out. People want to know why African Americans spend so much time talking about racism as if we can divorce ourselves from the reality of unseen, and sometimes outright, palpable hatred. When they are living in my skin, they can talk that crap. As an African-American, I can tell you that the election of Obama was a shining moment in history for the descendants of slavery. Unfortunately, it’s aftermath has brought to the forefront the unreasonable, vitriolic hatred and bigotry. It is shameful, disgusting and inexcusable behavior and it is ALIVE and WELL. I hope they lock Jules Manson, who as I understand it now is 1/4 Latina, under the jail. That honestly makes it no better in my book and in many ways makes it worse but I guess you don’t get to choose who hates you.